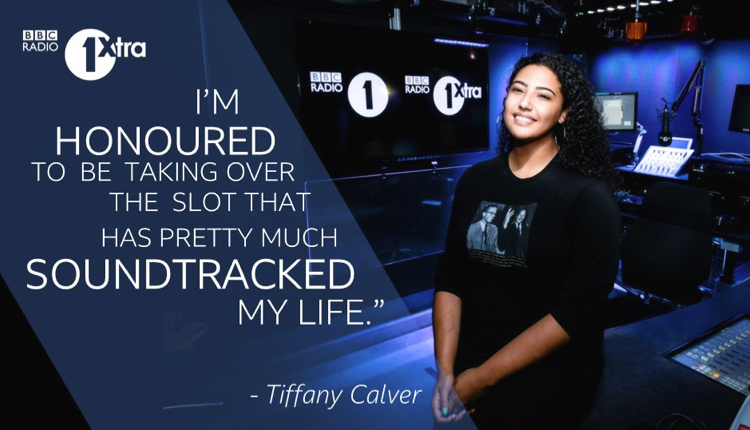 Tiffany starts on January 5th and comes from KissFresh where she hosted the Hip-Hop show till recently. She is the first female presenter to host the show, recently presented by Charlie and previously by Tim Westwood. Tiffany has been associated with big acts in the music scene having opened for Beyoncé and Jay-Z’s ‘On The Run’ tour earlier this year and is the official DJ for Fredo, who recently has a UK No.1 with ‘Funky Friday’ with Dave. The Telford-born DJ started her career at Radar Radio before moving to Bauer. Tiffany has been described as ‘The future of the music industry’ by i-D Magazine.